Principle mechanical designer of the first RoCo, a five degree-of-freedom Robotic Computer. The actuated monitor mimics headlike movements and forms part of Robotic Life’s Learning Companion research. 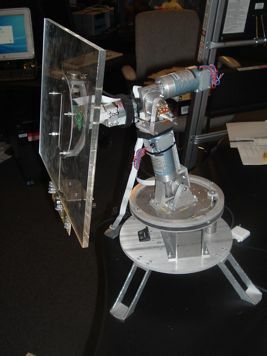 The project and construction has evolved into a robotic lamp iteration, now named AUR, more details at Guy Hoffman’s website.